Anderson Ruffin Abbott was born in Toronto to Wilson Ruffin Abbott and Ellen (Toyer) Abbott. The Abbotts were a prominent black family who left Alabama as “free people of color” and relocated to Canada in 1835 or 1836. 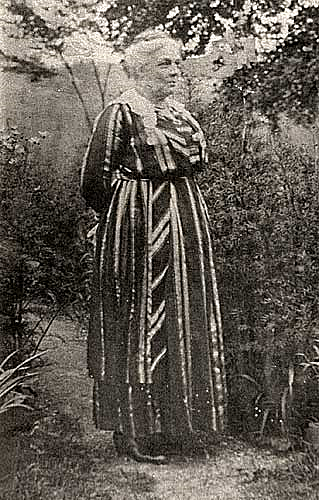 The family's prosperity allowed Anderson to receive an excellent education. He attended both private and public schools including the Buxton Mission School. He was an honour student at the Toronto Academy, attended at Oberlin College in Ohio, and graduated from the Toronto School of Medicine in 1857. He matriculated in medicine that year at the University of Toronto and then studied for four years under Dr. Alexander Thomas Augusta, a fellow black physician. 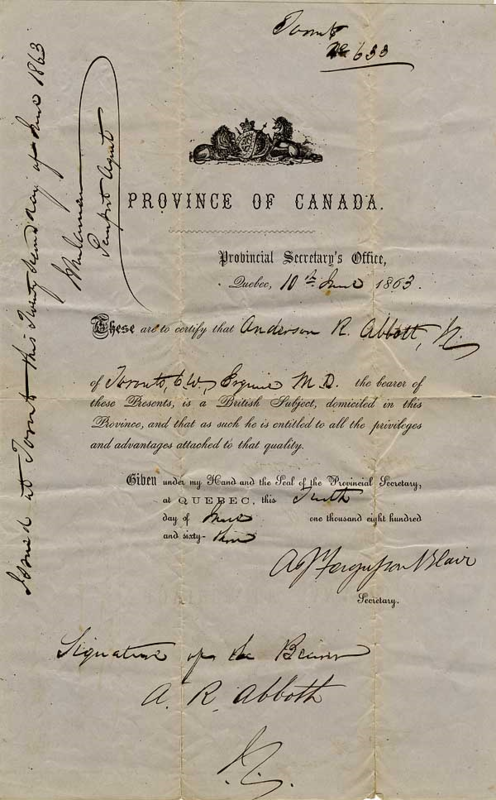 Abbott received a licence to practise from the Medical Board of Upper Canada in 1861, thus becoming the first Canadian-born black doctor. He served in Washington, D.C. from June 1863 to August 1865, at the Contraband Hospital which became Freedmen's Hospital. He then went to a hospital in Arlington, Virginia. 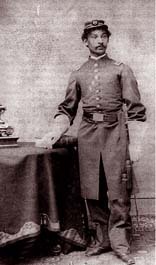 Receiving numerous commendations and becoming popular in Washington society, Abbott was one of only thirteen black surgeons to serve in the Civil War, a fact that fostered a friendly relationship between him and the president. On the night of Lincoln's assassination, Abbott accompanied Elizabeth Keckley to the Peterson House and returned to his lodgings that evening. After Lincoln's death, Mary Todd Lincoln presented Abbott with the plaid shawl that Lincoln had worn to his 1861 inauguration. In 1866, Abbott resigned from service to the Union Army and returned to Canada. He established a medical practice and was admitted to the College of Physicians and Surgeons of Ontario in 1871. He married Mary Ann Casey, the 18-year-old daughter of a successful black barber, in an Anglican wedding ceremony in Toronto on 9 August 1871. Abbott and his wife moved to Chatham were he resumed his medical practice. They eventually had three daughters and two sons. From 1873 to 1880, he fought against racially segregated schools as president of the Wilberforce Educational Institute. He was appointed coroner for Kent County, Ontario in 1874, the first Black man to hold that office. Abbott contributed to a local newspaper, the Chatham Planet, and was associate editor of the Messenger, the journal of the local British Methodist Episcopal Church. Abbott was elected president of both the Chatham Literary and Debating Society and the Chatham Medical Society in 1878. Abbott moved his medical practice to Dundas, Ontario in 1881. He moved his family to Oakville, Ontario in 1889, returning to Toronto in 1890. He was elected a member of the local post of the Grand Army of the Republic and one of 273 Civil War veterans in Toronto to wear the badge of that fraternity. In 1892, Abbott was appointed aide-de-camp “on the Staff of the Commanding Officers Dept.” of New York. This was the highest military honour ever bestowed on a black person in Canada or the United States. In 1894, Abbott was appointed surgeon-in-chief at Provident Hospital in Chicago, the first training hospital for black nurses in the United States. He became the hospital's medical superintendent in 1896, resigning in 1897. Returning to Toronto, Abbott resumed his private practice, becoming more involved with writing for various publications including the Colored American Magazine of Boston and New York, the Anglo-American Magazine of London (for which he wrote “Some recollections of Lincoln’s assassination"), and New York Age. He became engaged in the debate between W. E. B. Du Bois and Booker T. Washington over social change. Siding with Du Bois, like former classmate Jerome Riley, Abbott believed that Black access to higher education was essential and should not be compromised. Believing that blacks would be culturally assimilated, Abbott wrote "It is just as natural for two races living together on the same soil to blend as it is for the waters of two river tributaries to mingle." With Canada’s black population declining, he wrote "by the process of absorption and expatriation the color line will eventually fade out in Canada." At the age of 76, Abbott died in 1913 at the Toronto home of his son-in-law Frederick Langdon Hubbard. He is buried in the Toronto Necropolis.